Police in the Kansas City suburb of Lenexa, Kansas have canceled an Amber Alert for a 13-year-old girl, who had been considered in imminent danger by authorities. 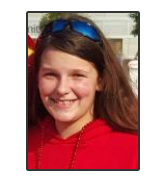 Lenexa Police say 13-year-old Amber Rewert-Schiavoni has been found safe in Minnesota. Police in the Kansas City suburb of Lenexa have issued an Amber Alert for a 13-year-old girl who could be in the Kansas City metro area or on a Greyhound bus to the Minneapolis area. The Amber Alert was issued this afternoon by Lenexa Police for 13-year-old Amber Rewerts-Schiavoni, who is a white female. She’s five feet five and 140 pounds with black hair and blue eyes. She was last seen wearing a black “Sons of Anarchy” t-shirt, carrying a shiny blue billfold. Her hair is dyed black, according to authorities. The Amber Alert says the teen is believed to be with 23-year-old Deshon White, a 23-year-old black male wearing unknown clothing. 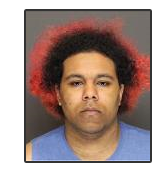 He’s described by police as five feet nine, weighing 200 pounds, with black hair. Rewerts-Schiavoni was last seen leaving her Lenexa home on the Fourth of July afternoon. She told a parent she was walking to Oak Park Mall, which is at 95th and Quivira in Overland Park. The Amber Alert says she and Deshon White was seen on video that night at the Greyhound bus station in Kansas City. Lenexa Police tell Missourinet there have been no sightings since that video. Authorities believe the teen had been coerced by the suspect. Anyone with information or who sees the two should call 911 or the Kansas City Crimestoppers Hotline at (816) 474-TIPS.